Ora Blackwood is a flexible artist. She can do nature studies in the Audubon tradition and macabre scenes worthy of Weird Tales magazine covers. That makes her a perfect protag for this period sf/horror hybrid. Get ready for some full contact botany in Sasha Louis Vukovic’s Flora (trailer here), which releases today on BluRay. In 1929, Victorin University’s best and brightest botany grad students have come to join their professor’s rain forest expedition. Unfortunately, when they arrive, they find his campsite deserted and the food-stores have been nearly all incinerated. Right from the start, they face a crisis situation, because their next supply delivery is not expected for a month. They cannot hunt or gather either, because there seems to be no animal life anywhere to be found, not even insects. There is only green-leaf flora. Their outlook goes from bad to worse when they finally find their professor—dead, of course. Being brainy, his protégé Matsudaira Basho figures out there is some sort of poisonous super-pollen infecting the greenery. Rather inconveniently, they are more likely to die from suffocation when the pollen inevitably rises than from its toxicity, so the clock is ticking. Whatever Vukovic’s background might be, he either researched botany with admirable thoroughness or he can fake it like a champ. 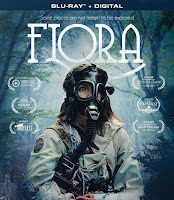 There are plot points in Flora that will make even experienced genre fans stop and think: “huh, that’s interesting.” A particularly notable example would be the extended sequence involving the preparation of otherwise noxious weeds for human consumption. There is no question Flora is an ultra-low budget film, so you have to work with it a little. This is not a high-gloss, pre-packaged cookie-cutter studio film. Unfortunately, that also means the ensemble is a little uneven. 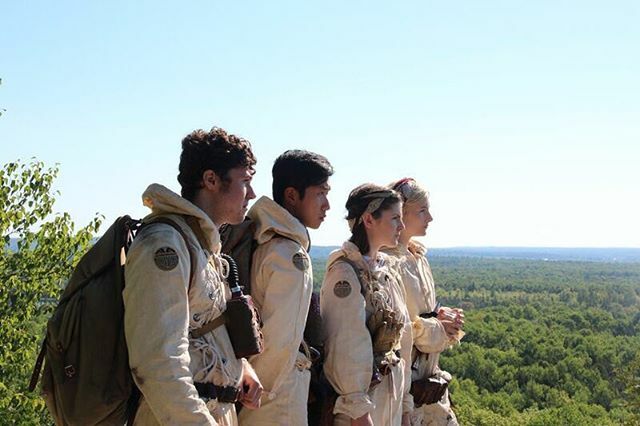 Nevertheless, the final four going into the third act are all quite strong (they would be Teresa Marie Doran, Sari Mercer, Caleb Noel, and Dan Lin). The period setting also adds an element of exotic intrigue, plus it allows for a lively 1920's jazz score, without sacrificing verisimilitude. This is a smart, scrappy movie that will surprise you. Yes, there are some rough edges, but it will leave reasonable viewers curious (maybe even eager) to see what Vukovic does next (presumably with a greater budget). 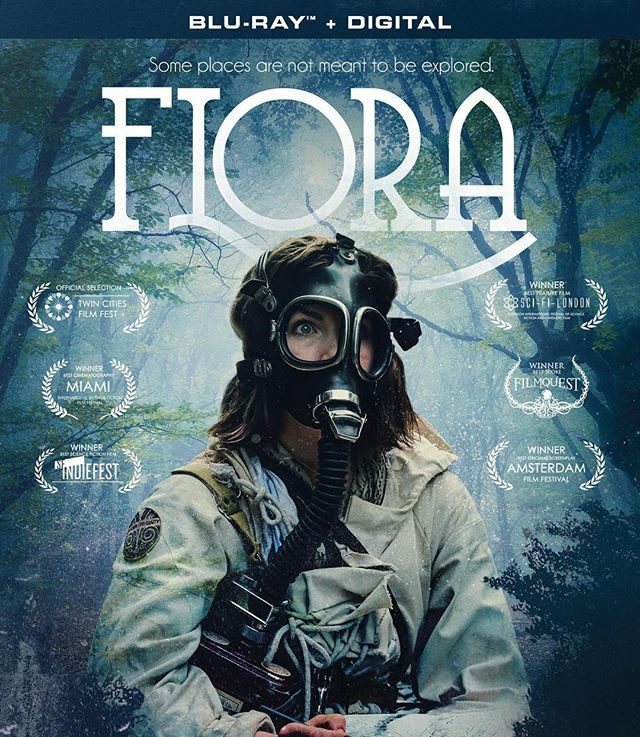 Highly recommended for the open-minded, Flora releases today on BluRay, from Mill Creek Entertainment.